The OECD Anti-Bribery Convention (officially Convention on Combating Bribery of Foreign Public Officials in International Business Transactions) is an anti-corruption convention of the OECD aimed at reducing political corruption and corporate crime in developing countries, by encouraging sanctions against bribery in international business transactions carried out by companies based in the Convention member countries. Its goal is to create a truly level playing field in today's international business environment. The Convention requires adherents to criminalise acts of offering or giving bribe, but not of soliciting or receiving bribes. A 2017 study found that multinational corporations that were subject to the OECD Anti-Bribery Convention were less likely to engage in bribery than corporations that were based in non-member states. In 1989, the OECD established an ad hoc working group for comparative review of national legislations regarding the bribery of foreign public officials. In 1994, the OECD Ministerial Council adopted the recommendation of the "Council on Bribery in International Business Transactions"; The convention was signed on 17 December 1997 and came into force on 15 February 1999. A revised recommendation was adopted in 2009. Countries that have signed the convention are required to put in place legislation that criminalises the act of bribing a foreign public official. The OECD has no authority to implement the convention, but instead monitors implementation by participating countries via its Working Group on Bribery. Countries are responsible for implementing laws and regulations that conform to the convention and therefore provide for enforcement. The OECD performs its monitoring function in a four-phased examination process, with Phase 4 launched on 16 March 2016. Phase I consists of a review of legislation implementing the conventions in the member country with the goal of evaluating the adequacy of the laws. Phase 2 assesses the effectiveness with which the legislation is applied. Phase 3 assesses how well adherents are enforcing the Convention, the 2009 Recommendation, and any follow-up recommendations from Phase 2. Phase 4 is intended to be a tailored review specific to the needs of the adherent country. The Working Group on Bribery prepares a public report at the end of each phase. These reports are adopted under the principle of "consensus minus one," meaning that the country under examination cannot block publication of the report. Costa Rica, Colombia and Latvia are the most recent states to have ratified the OECD Anti-Bribery Convention, having done so on July 23, 2017, January 19, 2013 and May 30, 2014, respectively. Other countries that have participated as observers in the Working Group include China, Peru, Indonesia, and Malaysia. 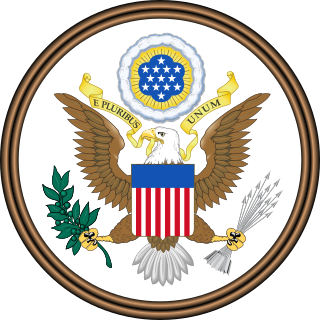 ^ a b c "OECD Convention on Combating Bribery of Foreign Public Officials in International Business Transactions". OECD.org. Organisation for Economic Co-operation and Development. Retrieved 2018-08-30. ^ Jensen, Nathan M.; Malesky, Edmund J. (2017). "Nonstate Actors and Compliance with International Agreements: An Empirical Analysis of the OECD Anti-Bribery Convention". 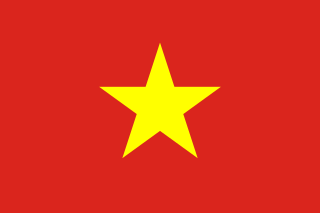 International Organization: 1–37. doi:10.1017/S0020818317000443. ISSN 0020-8183. ^ Boorman, Jack (2001-09-18). OECD Convention on Combating Bribery of Foreign Public Officials in International Business Transactions (PDF) (Report). IMF. Retrieved 2012-03-18. ^ "Country monitoring of the OECD Anti-Bribery Convention - OECD". www.oecd.org. Retrieved 2017-09-30. ^ "Phase 2 country monitoring of the OECD Anti-Bribery Convention - OECD". www.oecd.org. Retrieved 2017-09-30. ^ "Costa Rica to join the OECD Anti-Bribery Convention - OECD". www.oecd.org. Retrieved 2017-09-30. ^ Carrere, Jean (2011-11-30). "Colombia joins OECD Anti-Bribery Convention". Colombia Reports. Retrieved 2012-03-18. ^ "Latvia to join OECD Anti-Bribery Convention" (Press release). Organisation for Economic Co-operation and Development (OECD). 2014-04-07. Retrieved 2014-12-04. Corruption in Armenia is a widespread and growing problem in Armenian society. Council of Europe's Group of States Against Corruption in its fourth evaluation round noted that corruption remains an important problem for Armenian society. Cases of bribery in the extremely corrupt court are just one of the major forms that corruption takes in this country. The Bribery Act 2010 (c.23) is an Act of the Parliament of the United Kingdom that covers the criminal law relating to bribery. 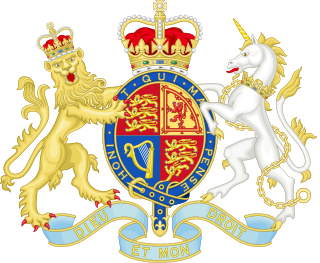 Introduced to Parliament in the Queen's Speech in 2009 after several decades of reports and draft bills, the Act received the Royal Assent on 8 April 2010 following cross-party support. Initially scheduled to enter into force in April 2010, this was changed to 1 July 2011. The Act repeals all previous statutory and common law provisions in relation to bribery, instead replacing them with the crimes of bribery, being bribed, the bribery of foreign public officials, and the failure of a commercial organisation to prevent bribery on its behalf. Corruption in New Zealand is examined on this page. 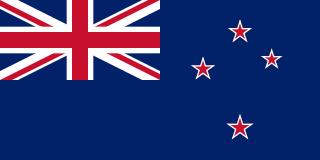 New Zealand has ratified several important international anti-corruption conventions such as the OECD Convention on Combating Bribery of Foreign Public Officials in International Business Transactions and the United Nations Convention against Corruption. It is regarded as having one of the lowest levels of perceived corruption in the world. Transparency International's 2016 Corruption Perceptions Index ranks the country first place out of 176 countries. New Zealand had previously topped the index for seven consecutive years until 2013; it dropped to second place in 2014 and fourth in 2015. Corruption in France describes the prevention and occurrence of corruption in France. According to the 2018 Corruption Perceptions Index from Transparency International, Denmark ranks first place out of 180 countries and it has consistently been in the top-4 since the publication of the first report in 1995. 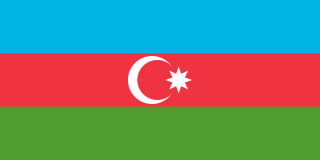 Azerbaijan is a member of Council of Europe's Group of States Against Corruption (GRECO) and OECD's Anti-Corruption Network. Its anti-corruption measures are regularly evaluated within their monitoring mechanisms. GRECO notes that despite of carried out anti-corruption policies and measures by the Government of Azerbaijan, corruption is referred as one of problematic areas in Azerbaijan.